Vest is one of the most practical items in a salon. Salon Vests at Salonwear are durable and 100% premium as they are designed from Silkara Iridescent Fabric, keeping your clothes clean and also highlighting the color into shimmering, brilliant fabric. Our innovative fabric is resistant to water, stains, color, bleach or any other chemicals. Stylish designs and worthwhile creations are such that they meet the needs and challenges of today’s stylist and esthetician. When running a professional salon, it is very important to have an effective collection of salon & spa wear. Salonwear carries the largest selection of styles for men and women which will assist you to find the right items that are appropriate for your salon or spa. 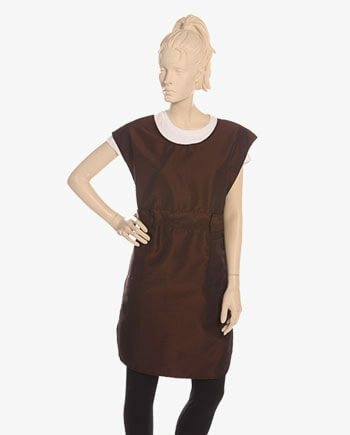 The wide range of salon & spa vests varies in design, style, size, fabric, color, purpose etc. Stylish and custom salon & spa vests are one of our largest selling products. There are many features varying from one style to another style such as 2 hairless pockets, a mandarin collar, zip front, scallop or straight bottom, pockets, no sleeves/sleeveless, long or short length etc. It may have a snap up front. The warmth and soft comfort provided by these barber vests are best in industry. Black color Sleeveless Coat a perfect fit salon client jacket, having two hairless pockets, scallop button, no sleeves and a mandarin collar. 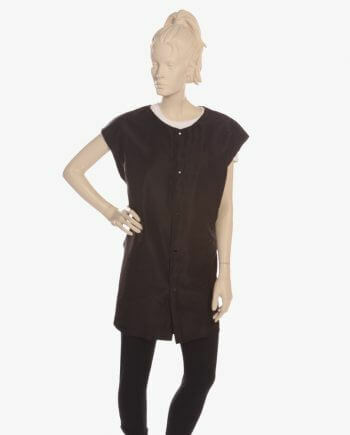 Sleeveless Vest has a front zipper that is easy to wear, two front pockets, tailored fit, short length, black in color. 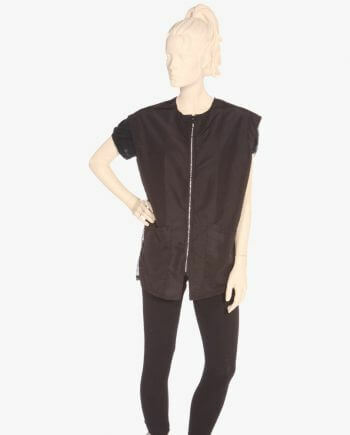 Black Sleeveless Vest With Rhinestone Zipper having zip in front with two hairless pockets, mandarin collar and a partial mesh back to keep you cool. 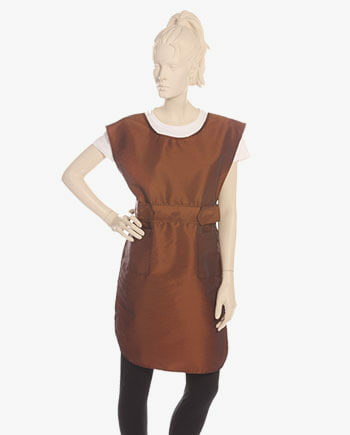 Tunic Top salon vest is our customers favorite one as it looks stylish & fashionable apart from being useful. Long in length having 2 hairless pockets, over the shoulder design with two adjustable side straps, no sleeves and available in many different colors. To learn more visit our branding page so you that you can customize your vests with our amazing stock fonts. Salonwear.com gives special touch & efforts to deliver promising variety of salon apparels on time. We have satisfied happy customers. We also provide salon wear, spa wear and salon apparels in bulk. You can shop for salon apparel wholesale such as salon vest wholesale, beautician salon vests, lab coat vest, hairdresser vest wholesale, hairstylist vest, wholesale spa vest, barber vest jacket, cosmetology vest and many more.